Central Jakarta Maritime Agriculture and Food Tenacity (KPKP) Dept. will deploy 132 meat inspectors to check sacrificial animal's meat condition to ensure it is safe to be consumed.
" We will deploy full time personnel to ensure distributed meat is safe to be consumed"
"We will deploy full time personnel to ensure distributed meat is safe to be consumed," mentioned Bayu Sari Hastuti, Head of Central Jakarta KPKP Sub-dept., Tuesday (8/21). 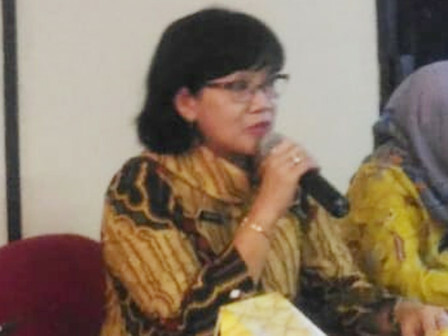 According to her, those meat inspectors consist of 44 animal health inspectors from Veterinary Medicine Faculty of IPB, 7 meat inspectors from Indonesian Veterinary Association, 48 personnel from Central Jakarta KPKP Sub-dept., 27 personnel from Jakarta KPKP Dept., and 6 personnel from Agriculture Ministry. "They will be deployed in 50 locations. Formerly, we have examined animal's physical condition and now we will examine its meat, especially offal, such as liver, heart, spleen, and lungs to avoid diseases," she explained.